“Ouch.” That was the thought running through my head a week after I first started teaching myself financial modeling for financial institutions. 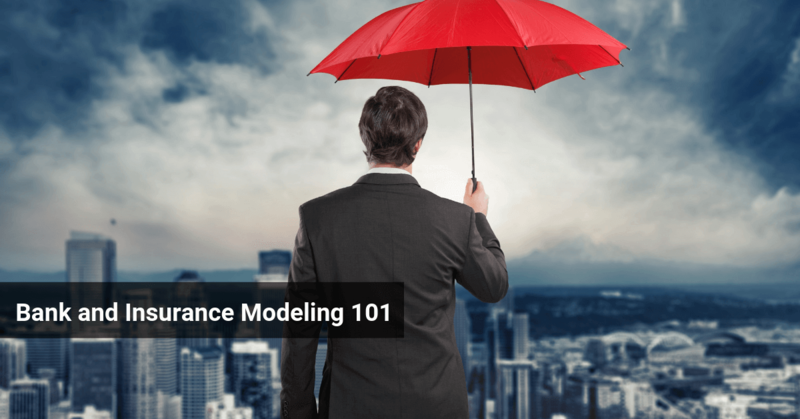 While I hadn’t started beating my head against the wall (yet), I had realized that bank and insurance financial modeling was in a whole different league – it might have even been a whole different sport. But if you want to work in a FIG group at a bank or you want to impress interviewers with your advanced knowledge, you need to how commercial banks and insurance firms work. “Normal companies” sell products and services to customers. Those customers pay them money for these products and services, and companies record that money as revenue. Banks and financial institutions also sell “products and services,” but these “products and services” consist of money rather than tangible items. Rather than making money by selling physical goods or services, they make money with money. They get money from customers (deposits), pay out a certain interest rate on it, and then take that same cash and loan it out to other customers, businesses, and large companies at a higher interest rate. So effectively, banks make money on the interest rate spread. You deposit $1,000 in your JP Morgan bank account, they pay you a 1% interest rate on it, and then they take your capital, package it together with money from other customers, and turn it into a 4% interest loan to GE or Exxon-Mobil. Insurance firms are a bit different: they sell policies to customers, charge customers a premium to be protected under those policies, and then pay out claims when the customer gets in a car accident, has his house burn down, or dies (not to be overly morbid or anything…). But insurance firms, just like banks, still effectively make money with the interest rate spread. They take premium fees received upfront from customers (which are like a bank’s deposits) and invest that cash in stocks, bonds, real estate, and more, aiming to earn a solid return in the process. EBITDA is no longer meaningful because interest is a critical component of both revenue and expenses. The balance sheet drives everything; you don’t start by projecting unit sales and prices, but rather by projecting loans (interest-earning) and deposits (interest-bearing). Separating operating and financing activities is nearly impossible because interest, investments, and debt (a funding source) are related to the company’s core operations. So concepts like “working capital” and “free cash flow” are no longer applicable. …And that also means that Equity Value is more meaningful than Enterprise Value. In fact, you don’t even calculate Enterprise Value for banks and insurance firms. Finally, since financial institutions are playing with large amounts of money to make even more money, they’re subject to strict regulatory requirements and must maintain minimum amounts of capital at all times. One more point before we move on: I’ve been assuming so far that banks only generate revenue via interest and investments. But that’s not really true: look at a large bank’s income statement and you’ll see revenue from investment banking (commissions), asset management (commissions), trading (commissions and investment returns), credit card fees, and so on. And the same is true for insurance firms, except an even higher percentage of their revenue comes from non-interest/investment sources in the form of the premiums that customers pay them. So it’s not as if financial institutions are completely, 100%, different from normal companies. Rather, it’s that since a high percentage of their revenue and profit comes from interest and investments, we need to analyze, value, and model them differently anyway. More Asset Classes: Federal Funds Sold (to the country’s central bank), different securities classes, trading assets, and mortgage servicing rights (MSRs – representing the company’s ability to collect future fees for servicing mortgages). Gross Loans, Allowance for Loan Losses, and Net Loans: “Gross Loans” is how much they’ve issued to customers, total. They expect a certain amount of loans to default, and that’s represented by the “Allowance for Loan Loss” number, which is a contra-asset. Net Loans equals Gross Loans minus the Allowance for Loan Losses. More Liabilities: “Deposits” is generally the biggest one, but you also see Federal Funds Purchased (the opposite of Federal Funds Sold) and other funding sources such as commercial paper, borrowed funds, long-term debt, debentures, and so on. Plus, items like trading liabilities that represent short positions in the market. A bank’s income statement is split into non-interest revenue and expenses (see below) and interest revenue and expenses (self-explanatory). Non-Interest Revenue: Investment banking fees, asset management fees, mortgage fees, credit card fees, trading commissions, and gains and losses on securities trading. Non-Interest Expenses: Employee compensation, rent, technology, marketing, professional services, amortization, and so on. Non-Interest Revenue, by category, at the top. Interest Income and Interest Expense, netted against each other to get to Net Interest Income. Total Net Revenue = Non-Interest Revenue + Net Interest Income. Provision for Credit Losses: This is how much the bank expects to lose on its loans in the current period – very similar to Cost of Goods Sold (COGS) for a normal company. Pre-Tax Income = Total Net Revenue – Provision for Credit Losses – Non-Interest Expenses. The cash flow statement is actually very similar to what you see for normal companies: you start with Net Income at the top, add back non-cash expenses (D&A, the Provision for Credit Losses, and so on), and then use the change in current assets and current liabilities to get to Cash Flow from Operations. Investing Activities is also similar: buying and selling securities, acquisitions, and maybe (though not always) a Capital Expenditures line item. CapEx is not as important for banks, so often it is embedded in other line items in this section. Financing Activities is similar once again: issuing and repaying debt and preferred stock, issuing and repurchasing common shares, and issuing dividends. You project how the company’s loans and deposits change over time, and link most of the other balance sheet items to those. Unlike normal companies, you always start with the balance sheet for banks. The loan/deposit growth is sort of like revenue growth for normal companies. You assign interest rates to the interest-earning items and interest-bearing items. Then, you use those rates to determine the interest income and interest expense on the income statement, estimating the non-interest revenue and expenses with percentage growth rates or by linking them to the relevant items (e.g. credit card fees to credit card loans). Once you have the income statement and balance sheet, you use both of them to create the cash flow statement; sometimes you project cash flow statement line items, such as dividends, separately and link them to the IS/BS as well. There’s a lot more to it than this, but remember that we’re in crash-course mode here. Check out the full course and the samples there for more financial institution fun. And if you’re feeling brave, you can check out JP Morgan’s financial statements right here to get a sense of what you might see with a real bank. For insurance firms we start with the income statement because everything flows from the premiums that customers pay to sign up for policies. The balance sheet is still important, but you start with insurance firms’ main source of revenue first. Revenue: Premiums, Net Investment Income (mostly interest), Net Investment Gains / (Losses), and Other Fees / Revenue. Claims and Expenses: Claim and Claim Adjustment Expenses (what they pay out to customers who get in accidents, damage property, get sick, etc. ), General & Administrative Expenses, Acquisition Costs (How much in commissions they’re paying to acquire customers), and Interest Expense. Pre-Tax Income = Revenue Minus Claims and Expenses. Net Income = Pre-Tax Income * (1 – Tax Rate). The trickiest part of insurance income statements is the revenue and expense recognition. Let’s say a customer signs up for a $10,000 1-year insurance policy mid-way through the year on June 30. You’d record the $10,000 as a written premium, but you could not recognize it all as revenue: only half, or $5,000, would be earned in that year, and only that $5,000 in earned premiums would count toward your revenue for that year. On the expense side, you assume that each dollar of earned premiums carries with it a certain percentage in claim and claim adjustment expenses. So if it’s 75% in this case, you’d record $3,750 in this first year. For single-year policies it’s pretty straightforward – but the real fun begins when you have policies that last for 2-3 years, or even 20+ years in the case of life insurance. …But your actual cash payout of those expenses may be much different. So you might end up paying out 60% in year 1, 30% in year 2, and 10% in year 3, which means that there’s a big difference between recognized expenses and cash expenses. On top of all that, insurance companies often re-insure policies of other insurance companies, and, in turn, often have other insurance companies re-insure their policies. So to actually figure out your net earned premiums – the figure that counts toward revenue – you need to add in anything your company is re-insuring (called “assumed premiums”) and subtract out anything that other companies are re-insuring for you (called “ceded premiums”). Due to these complexities, sometimes insurance modeling feels like you’re in the movie Inception: you have to think about policies within policies within policies… and then other people insuring your policies, who are in turn having their policies insured by others, and so on. If you want to get a flavor of what this involves, click here to take a look at this sample video and learn how to project premiums and commissions for an insurance company. The balance sheet of an insurance company is different from a bank’s balance sheet and also from the balance sheets of a normal company. Non-Investment Assets: Cash, Premiums Receivable (similar to Accounts Receivable), Reinsurance Recoverables, Ceded Unearned Premiums, Deferred Acquisition Costs, and then the usual assets like Goodwill, Other Intangibles, and so on. I know there are some unfamiliar terms there, but we need to go through the other side of the balance sheet first and then we’ll circle back to what these new terms mean. Liabilities: Claim and Claim Adjustment Expense Reserves, Unearned Premium Reserves, Debt, Other Payables, Other Liabilities. Shareholders’ Equity: Preferred Stock, Common Stock, Noncontrolling Interests, APIC, Treasury Stock, Retained Earnings, and Accumulated Other Comprehensive Income. Finally! One section that’s exactly the same. Claim and Claim Adjustment Expense Reserves: Remember how the claims expenses paid out in cash differ from what’s recognized on the income statement? This reserve reflects those differences. Each year you add the amount that’s recognized and subtract what you pay out in cash, so effectively the reserve always reflects how much you still have to pay out in cash in the future. Unearned Premium Reserves: Remember how you only recognize a portion of the premiums you write each year? That’s what this is for. Each year, you add the premiums that you’ve written and then subtract out what you’re recognized as revenue, so that this number always reflects what you will recognize as revenue in the future – similar to deferred revenue. Two of the unfamiliar items on the assets side are directly related. Reinsurance Recoverables just means the Claim and Claim Adjustment Expense Reserve but for policies you have ceded to other insurance companies, and Ceded Unearned Premiums just means the Unearned Premium Reserve, but for policies you have ceded to other insurance companies. The last one, Deferred Acquisition Costs, is simpler: each year you have to pay a commission on written policies that were referred to you by brokers and sales people. But due to the matching principal of accounting, you can’t recognize that entire cash expense since you’re not recognizing that entire written premium in one year. So you recognize on the income statement only the percentage that matches the premium percentage you’ve earned, and then defer the rest and recognize it over time, and that’s what the Deferred Acquisition Costs asset is for. Just like with banks, the cash flow statement for insurance companies is actually similar to what you see for normal companies: start with net income, add back non-cash charges (D&A, deferred acquisition costs, etc.) and take into account changes in operating assets and liabilities to get to Cash Flow from Operations. Cash Flow from Investing is also similar: it’s mostly purchases and proceeds of investments and a tiny bit of CapEx, often embedded in an “Other” line item. Finally, Cash Flow from Financing follows the same pattern: issuing and repaying debt, issuing and repurchasing stock, and issuing dividends. Start by projecting the company’s Direct Written Premiums – how much they’re selling themselves – and then how much in premiums they assume from others and how much they cede to others, along with what percentage is earned each year. Then, project the Claim and Claim Adjustment Expense Ratio, the commission rate, and the percentage of underwriting expenses associated with the written premiums each year. You list the company’s Net Earned Premiums as well as its interest and investment income for revenue on the income statement; expenses consist of Claims, Commissions, Underwriting Expenses and Interest, and you get to Pre-Tax Income and Net Income the normal way. The balance sheet flows directly from the company’s revenue/expense recognition (the reserves and corresponding items on the assets side) and cash and shareholders’ equity flow in as they normally would. The cash flow statement works the same way as well: start with net income, adjust for non-cash items and the balance sheet, and get to the net change in cash at the bottom by projecting cash flow from investing and cash flow from financing. Just as our walkthrough for banks, this description just scratches the surface but we’re in crash course mode here. To get a sense of what a real insurance company’s financial statements look like, click here to spin through Travelers Companies’ statements. Remember that both banks and insurance firms make money with customers’ money – which means that they might potentially take on too much risk and be too aggressive with their investments. As a result, there are lots of regulations in both industries limiting the aggressiveness of these firms. For banks, Tier 1 Capital is basically Shareholders’ Equity minus Goodwill and Other Intangible Assets, and it serves as a “buffer” against potential losses. Let’s say that a borrower defaults on a loan, so the bank needs to write down something on the assets side of its balance sheet. Remember your basic accounting: if something on the assets side goes down, something on the liabilities & shareholders’ equity side must also decrease to match it. Without a proper capital buffer, that “something” might be customer deposits or debt that the bank has borrowed – both of which would be bad. You don’t want someone else defaulting on their loans to result in you losing your checking account, do you? So Tier 1 Capital and its variants serve as buffers against unexpected losses on the assets side of a bank’s balance sheet. Tier 1 Common Capital is similar, but you exclude preferred stock; and “Total Capital” is Tier 1 Capital plus certain liabilities such as subordinated debt and convertibles, and the allowance for loan losses on the assets side. Banks must maintain certain percentages of those at all times to avoid penalties and restrictions. Insurance is very similar: the Solvency Ratio is the firm’s Statutory Capital & Surplus (similar to Tier 1 Capital, a slight variation on Shareholders’ Equity) divided by its Net Written Premiums, and the Reserves Ratio is its net reserves on the balance sheet divided by its Net Written Premiums. Both of those must also be above certain levels to avoid penalties and restrictions. Why Does Regulatory Capital Matter? It matters because it limits your operating model assumptions for financial institutions. You can’t just go in and blindly assume a loan or premium growth rate – you must always ensure that the firm meets its regulatory capital requirements. And these requirements also determine how much in dividends they can issue (since dividends reduce shareholders’ equity), and so they also impact the valuation when you use dividend discount models to value financial institutions. Often with financial institutions, you link key model assumptions to these regulatory capital requirements and assume a certain targeted level to avoid unrealistic assumptions. Ah, now we get to the easy – or maybe just “easier” – part. The two key valuation multiples for both banks and insurance firms are P / E (Price Per Share / Earnings Per Share) and P / BV (Price Per Share / Book Value Per Share). “Book Value” just means Shareholders’ Equity, occasionally with some adjustments. P / E, similar to EBITDA for normal companies, measures how valuable the firm is relative to its profitability; you use P / E rather than EBITDA or EBIT because you want to include interest for financial institutions. P / BV is important because most banks and insurance firms are worth about as much as their shareholders’ equity. P / BV multiples of around 1x are very common, so you would pay special attention to a financial firm if its P / BV multiple were significantly above or below that – it could mean that it’s undervalued or overvalued, or that something else unusual is happening. Just as with normal companies, you can also use comparable public companies and precedent transactions to value financial institutions – but you might select them based on loans, deposits, total assets, or other balance sheet-related criteria instead. Some analysts adjust P / E for non-recurring items, and you see all sorts of variations of Book Value: Tangible Book Value (subtract Goodwill and Other Intangibles) is one of the most common ones. On the insurance side, sometimes you also see P / NAV (“Net Asset Value”) multiples and analysts adjust firms’ balance sheets to estimate what everything there is really worth (the “Net Asset Value” of the firm). And then there’s one insurance-specific multiple that’s important, but we’ll get to that below. This one’s also fairly straightforward: the most important methodology for both firms is the dividend discount model. Remember that “Free Cash Flow” is meaningless for financial institutions because changes in working capital can be massive due to the balance sheet-centric nature of their businesses. Plus, capital expenditures are minimal and are not directly related to re-investment in their business. So rather than a traditional DCF, you use the dividend discount model (DDM), which uses the firm’s dividends as a proxy for cash flow. Assume a percentage growth in assets or loans (for banks) or premiums (for insurance). Then, assume a minimum regulatory capital ratio and calculate how much shareholders’ equity you’ll need to meet this requirement each year (linked to the Net Written Premiums for insurance and to the Risk-Weighted Assets for banks). Based on the required shareholders’ equity and the net income each year, back into the dividends issued. Discount the dividends each year based on the Cost of Equity, and sum up all the discounted values. Calculate the terminal value using either the multiples method (typically P / BV) or the Gordon growth method and discount that to the present value also using the Cost of Equity. Add the present value of all the dividends and the present value of the terminal value. As you can see, it’s nearly the same as the DCF but you need to back into the dividends based on the regulatory capital requirements – unlike a normal DCF where you can make whatever assumptions you want. Click here to check out a real-world example of how you’d value JP Morgan by using a dividend discount model. 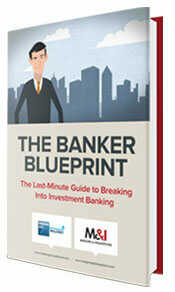 You use the DDM outlined above 99% of the time when valuing banks. But there is one other methodology, known as the residual income or excess returns method, that you sometimes see – it’s a little more academic, but it can be useful to double-check your numbers. The idea here is to compare a bank’s Return on Equity (ROE) and its Cost of Equity (Ke) and see if they’re the same or if one exceeds the other. Cost of Equity represents the return that investors expect to earn to make it worth their while, and Return on Equity (Net Income / Shareholders’ Equity) represents the return that the firm actually achieves. If ROE = Ke then the firm’s P / BV multiple should be 1x, because it’s worth exactly what its balance sheet is worth. You set up this model almost the same way you set up a dividend discount model for a bank. The only difference is that rather than discounting and summing up dividends, you calculate the Residual Income or Excess Returns each year (ROE * Shareholders’ Equity – Ke * Shareholders’ Equity) and then discount and sum those up instead. It’s helpful to use this to cross-check your work, but in most cases you still rely more on the dividend discount model. On the insurance side, Embedded Value is an extremely important methodology for life insurance companies. Life insurance has a much longer lifespan than property & casualty (P&C) insurance, so you can often project cash flows and profits 20-30 years into the future. To calculate Embedded Value in a given year, you take the firm’s Net Asset Value (basically the cumulative sum of how much in cash profits they’ve generated so far) and then add the present value of all expected, future cash profits. Since you’re basing the company’s value on expected future profits, Embedded Value is a more aggressive valuation methodology than historical multiples. If the insurance company keeps writing new policies each year, Embedded Value will keep increasing each year; if it only writes new policies once and then stops, Embedded Value will eventually hit a plateau and stay at the same number until the company starts writing more policies. Embedded Value by itself is a valuation methodology, but you can also calculate a P / EV (Price Per Share / Embedded Value Per Share) multiple based on this analysis. That’s one of the more important multiples when you’re working with life insurance companies, and you often use it in place of P / E.
The short version: you shouldn’t worry too much because these are extremely unlikely to come up in an interview. The slightly longer version: there are a number of differences in merger models. You might be required to divest customer deposits, there’s a new type of intangible asset called a core deposit intangible, and you might calculate cost savings and restructuring charges differently; regulatory capital is also a concern and you may have to adjust it up or down in the acquisition depending on what the company’s combined balance sheet looks like. A merger model is still a merger model, so you still combine all the statements, allocate the purchase price, and so on – it’s just that the new items above will complicate your model. On the leveraged buyout (LBO) side, well, you can’t do a traditional LBO for commercial banks because they’re already levered to the max and because debt is not just an “extra” for them but rather a core part of their operations. So usually with buyout models for banks, you assume a 100% cash acquisition and then earn a return by increasing the bank’s Return on Equity, assuming cost savings or greater loan growth, or some combination of those. Believe it or not, the math actually works and you can get decent returns even with absolutely no leverage – mostly because even slight tweaks to ROE can make a huge impact on the final year shareholders’ equity number. You would use similar tactics for insurance firms, but merger models would be more similar to what you see for normal companies; regulatory capital issues may still exist, though. Everything above may seem like a lot, but we’ve just scratched the surface. We haven’t jumped into any Excel models yet, so the real fun ahead is still ahead. And let me know how everything goes after you’ve dominated your FIG interviews and won offers at banks.